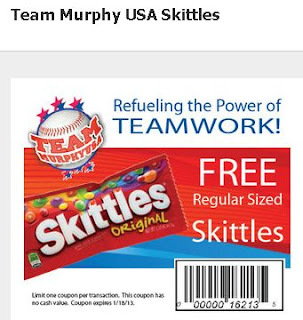 Claim your claim your coupon for a free bag of Skittles on Facebook from Murphy USA. Campaign ends January 15, 2013. Coupon Expires January 18, 2013.